Here is our candle-lighting call to worship for the third Sunday of Advent. The Advent Conspiracy theme for this week is “Give More,” and our focus will be on Mary. 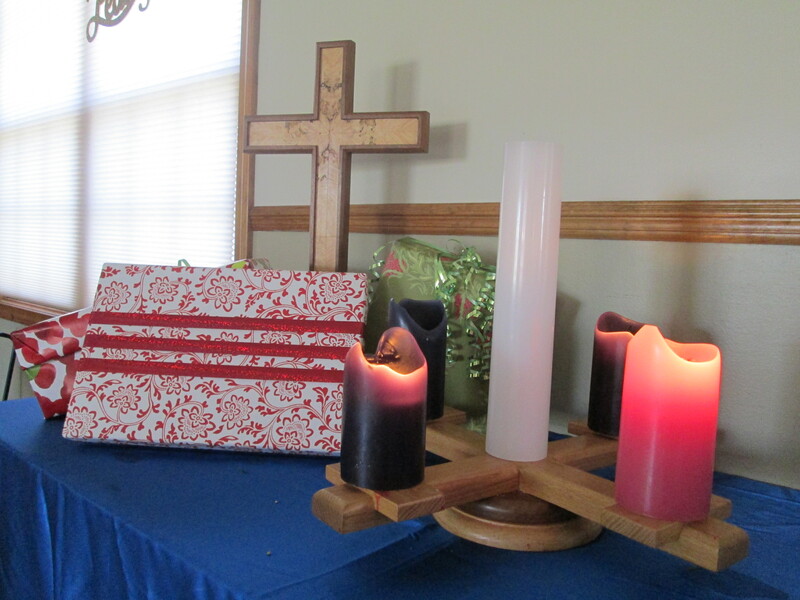 Check previous posts for candle-lighting liturgies for Advent 1 and Advent 2. One: During these weeks of Advent, we prepare gifts. We look forward with joy to the day we will give these gifts. All: We rejoice in the abundance that allows us to give good gifts to those we love. All: And receive our joyful songs. One: Let us light the candle of joy. One: Let us pray. Holy One, may your presence with us be a spark of joy that we carry even through the deepest darkness. And may this joy prompt us to give freely of our abundance. All: Let the words of our worship inspire lives of faithful joy and generosity. Amen.